Maddy graduated from Queensland University of Technology with a Bachelor’s Degree in Applied Science (Podiatry) 2012 and joined our Podiatry Residency Program. Maddy always wanted to work in the health field, taking after several family members. 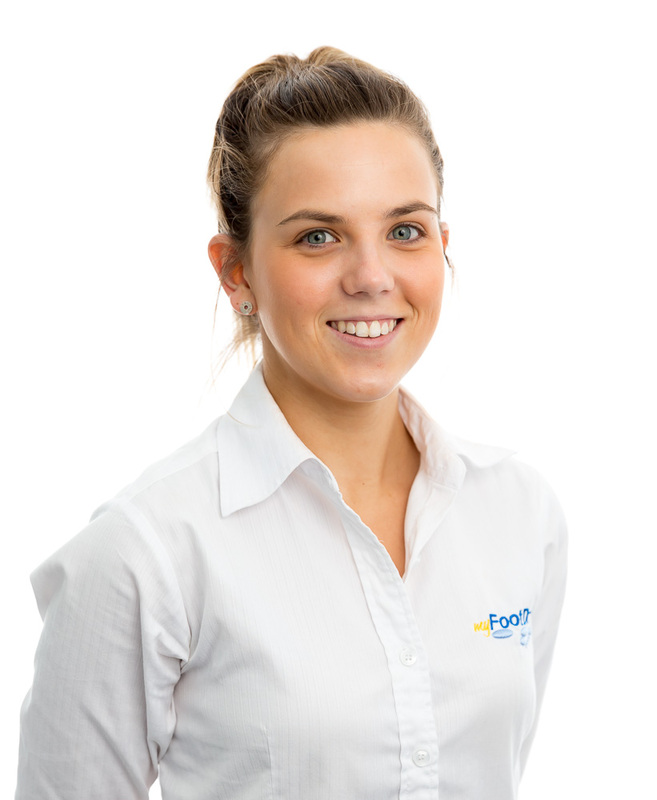 Maddy feels she has made a great choice in Podiatry and loves working with kids, diabetic foot disease, patient education and sports podiatry. Maddy strongly believes that with diabetes, prevention is the best cure and that podiatrists play a vital role. She is excited to further her professional development and knowledge base in these areas at my FootDr, and is looking forward to alongside other like-minded health professionals. Outside of work Maddy loves spending time with family and friends, doing a good workout and travelling. When on the treadmill at her local gym she can’t help but analyse the running patterns of those working out in front of her.